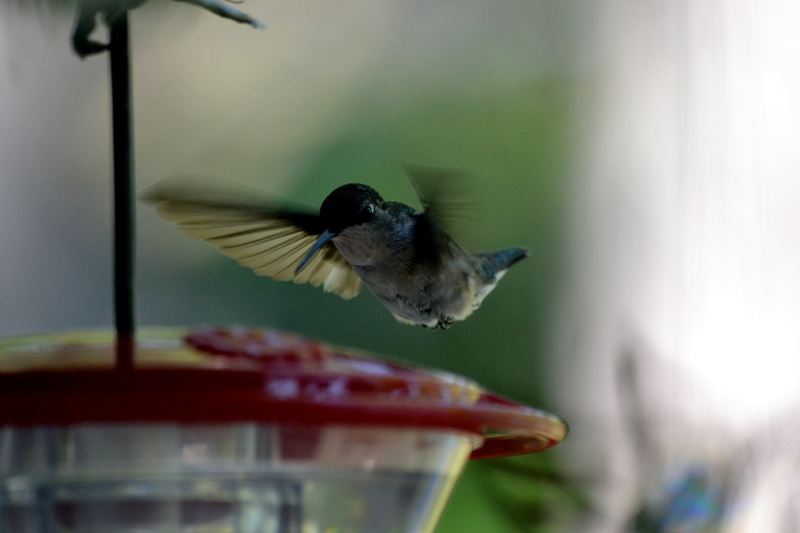 Thank you – this was one moment when it wasn’t dive bombing me as I sat too close to the feeder! Okay, so here’s my “cheat” – I took the shots from inside the cottage with my zoom macro lens….whenever I’m outside, they flit away at the slightest sound. I’ve been trying for years and it just worked out. Even so, I had to stand in the kitchen a long time, very still, for them to come along, but they didn’t hear the camera and I think that’s what helped.